– Support for core business processes – New customer on-boarding via SSO, products, and reviews via omnichannel and conversational commerce require robust integration to core retail systems. – Architecture best practices – Catalyst Accelerator for Retail provides a proposed architecture, one drawn from working with industry leaders, that promotes asset self-service and reuse. 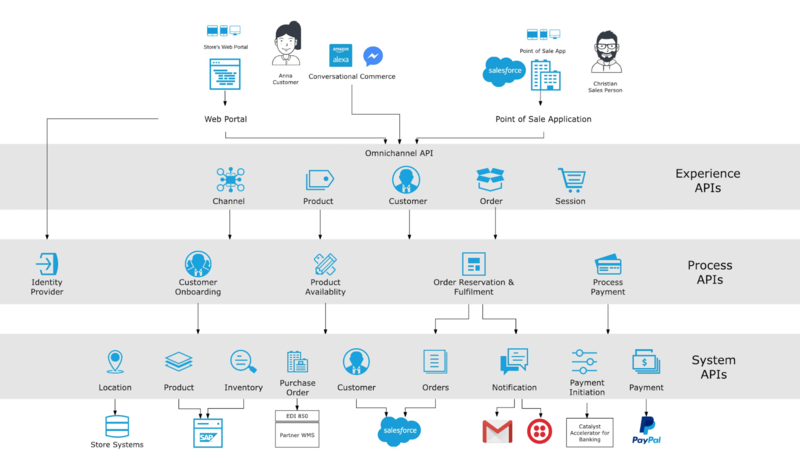 – Pre-built API designs and implementations – With omnichannel driving today’s retail, MuleSoft has built a set of omnichannel specific APIs that build on GS1 standards and integrate on top of the retail process and system APIs. In this blog, we’re going to explore the main components of the Catalyst Accelerator for Retail and map them to the above use-cases. In order to design an application network, we first need an architecture that is reusable, extensible, and secure. Below you can see a three-layered architecture diagram for the Catalyst Accelerator for Retail. 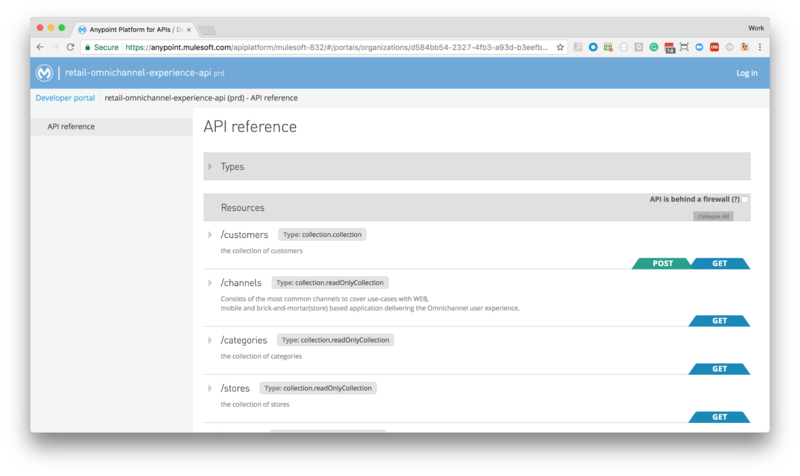 You can also explore API portals linked to the interactive architecture. In order to better illustrate the use cases of the Catalyst Accelerator, we also designed an Anypoint Store – an online experience, built on the top of Omnichannel APIs, which interact with all core systems of records. Exposing mission-critical data via omnichannel APIs makes it easy to build additional digital channels on the top experience layer. Anypoint Store and conversational commerce are two channels that we focused on. 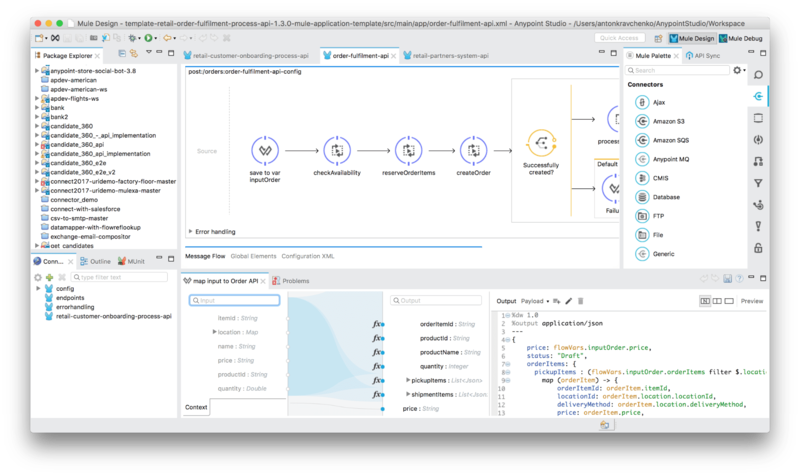 Learn more about API design best practices by exploring Omnichannel API Specification and its Implementation Template. Anypoint Store makes it easy to onboard new customers by providing SSO options with Google and Facebook. As a new user is on-boarded, we create a new identity in our IDP, send a welcome email via notification API, and persist a customer data in Salesforce CRM. Learn how this use case is implemented by exploring Customer Onboarding Process API template. 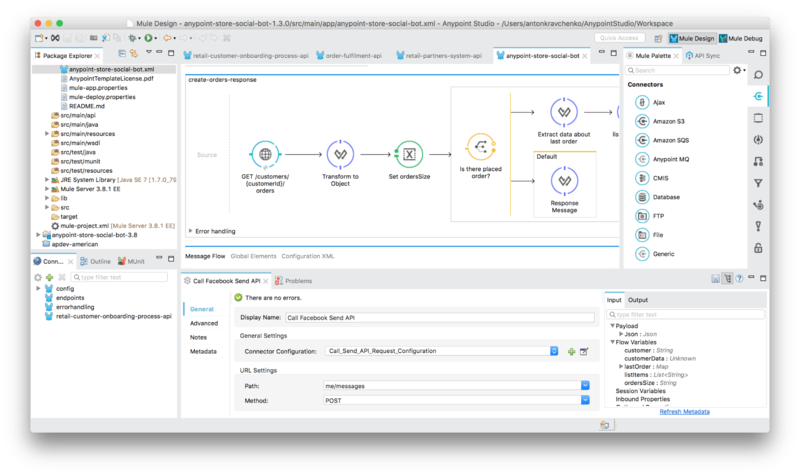 Partners – orders are managed via the Partner Manager and Partner API. Before an order is placed, the Product availability API ensures a product is available at the desired location or warehouse, or through a partner. Learn more about how the above use cases are implemented by exploring the Product Availability and Order Fulfilment API templates. Anypoint Store provides a new way for customers to check on their orders via conversational commerce and social bots. Customers can simply ask “where are my orders?” to check the status. This experience is possible via an integration built on top of omnichannel APIs and Facebook’s platform. Learn more by exploring the Conversational Commerce Template. Check out all Catalyst Accelerator assets in Anypoint Exchange and watch the product demo above. If you have any questions, send us an email to info@mulesoft.com.